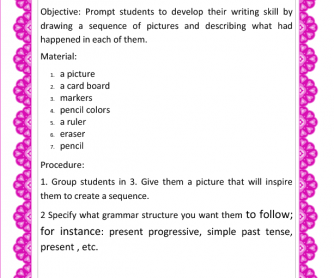 Prompt students to develop their writing skills by drawing a sequence of pictures and describing what had happened in each of them. 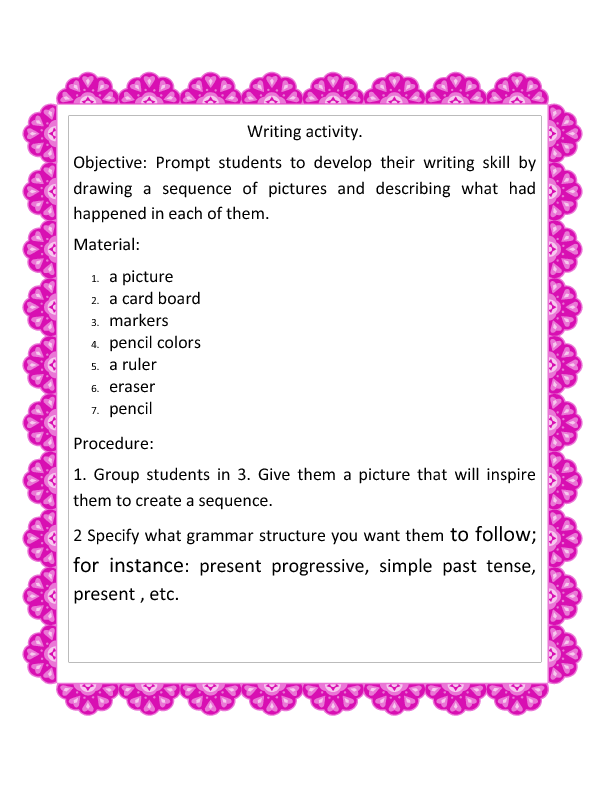 I bet students will find it entertaining and easy to write the story they have created. You can practice any verb tense with it. For instance you can use simple present, progressive, simple past, etc.